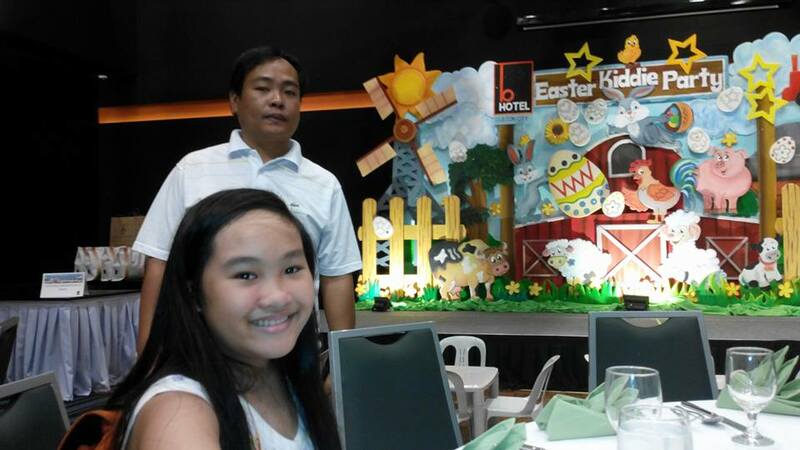 We joined in B Hotel's Easter Party last Sunday, along with fellow mombloggers and their children. 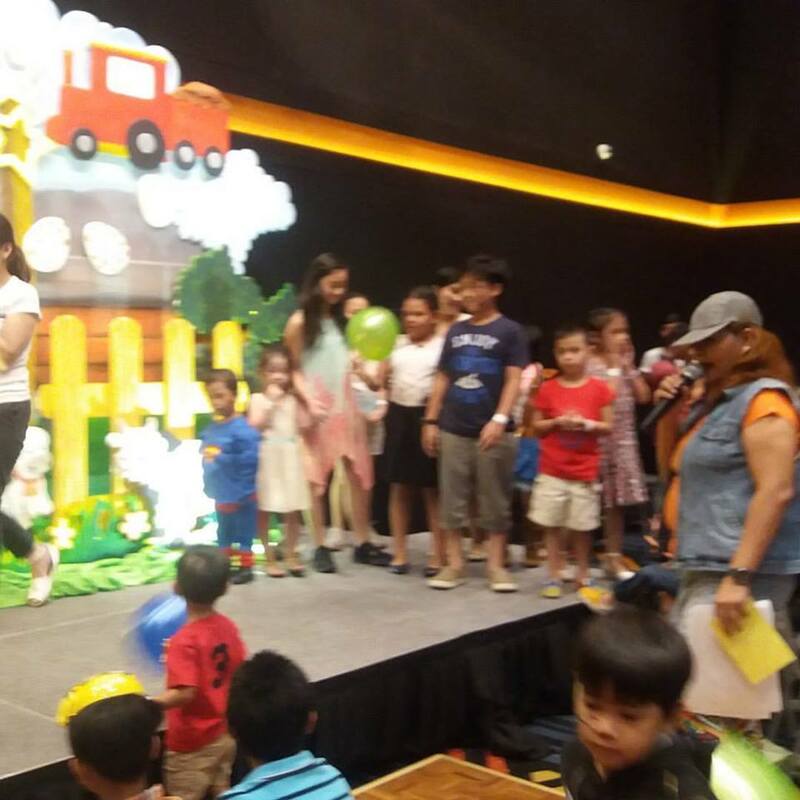 Kids and kids-at-heart were in for a surprise as we stepped inside the B Hotel Grand Ballroom. 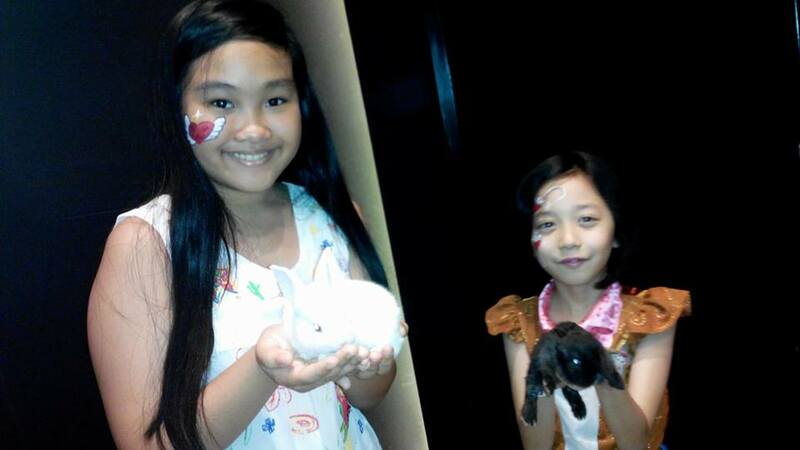 B Hotel seemed to have everyone covered in their barnyard themed Easter Party! There were several stations for kids and adults to enjoy. 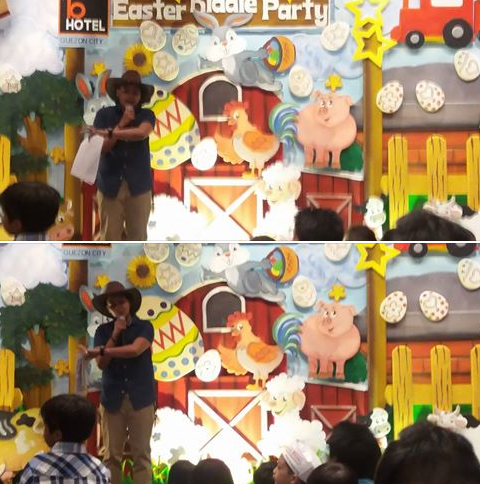 At the left side of the stage was a mini petting zoo. 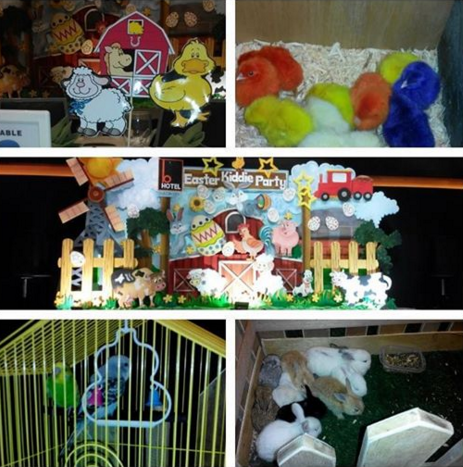 There were rabbits, chicks hamsters and a pair of lovebirds on display. It was a huge hit among the children! 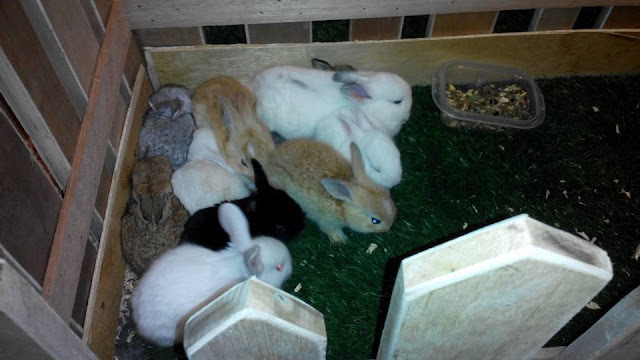 These animals were eventually given away to lucky participants who were able to answer the animal trivia questions correctly. 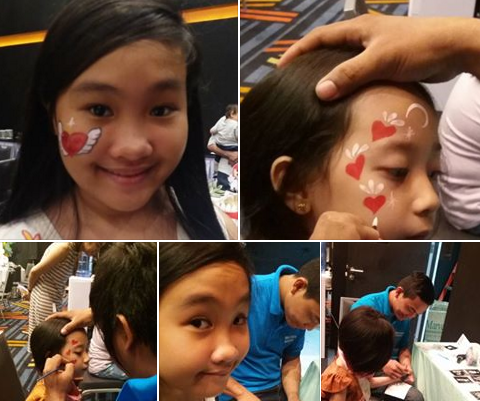 My daughter had a great time at the facepainting and glitter tattoo booths. 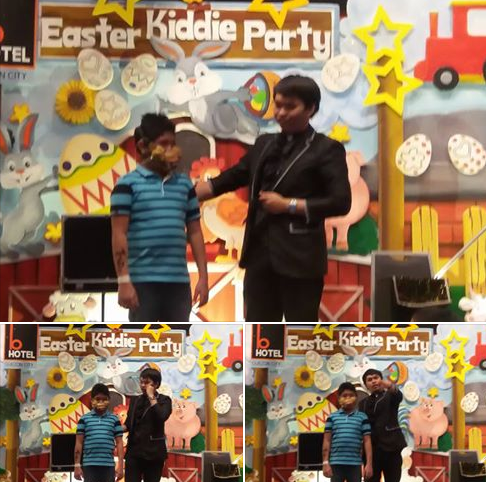 There were games, raffle draws and a Magic Show to keep everyone entertained! They even had craft activity set ups for guests. Each kid was given an activity passport to complete which in turn will be exchanged for a goodie bag of treats. My daughter couldn't contain her excitement as she started working immediately on hers. At the Gymboree booth, they engaged toddlers in a trial class. Activities in the class included singing, doing art crafts, making bubbles and other Gymboree signature activities. 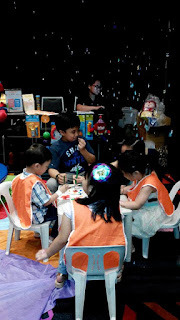 The playdough area on the other side of the Grand Ballroom was popular among the young children as well. 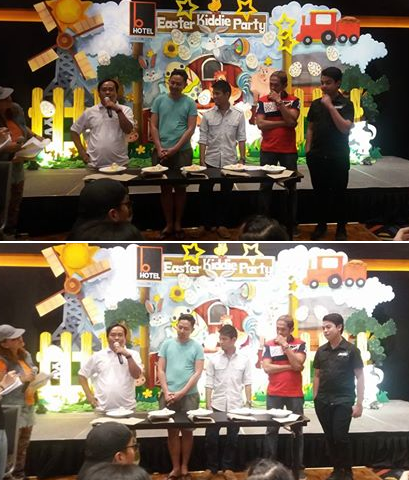 Dads and teenage boys outwitted each other at the hilarious "Chubby Bunny" game. The traditional egg hunting activity was held at the last part of the program. The kids were divided into 2 groups and the younger ones were the first to go on the scavenger hunt. They filled their brown bags with all the plastic eggs they could find. Some are filled with assorted candies while others that are decorated with Toy Kingdom stickers entitled the kids to win 1 of the 10 special Toy Kingdom packages. The 2 huge ones entitled its finder to an overnight stay at B Hotel! 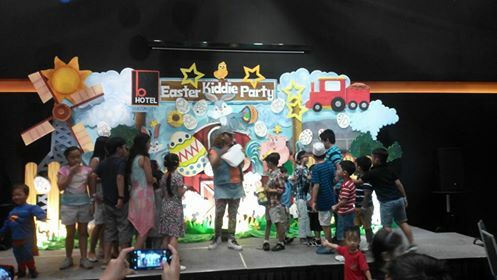 B Hotel made everything perfect and unforgettable from the beginning to the end of the Easter party celebration. Special thanks to Millie and the B Hotel staff for inviting us to a grand celebration.